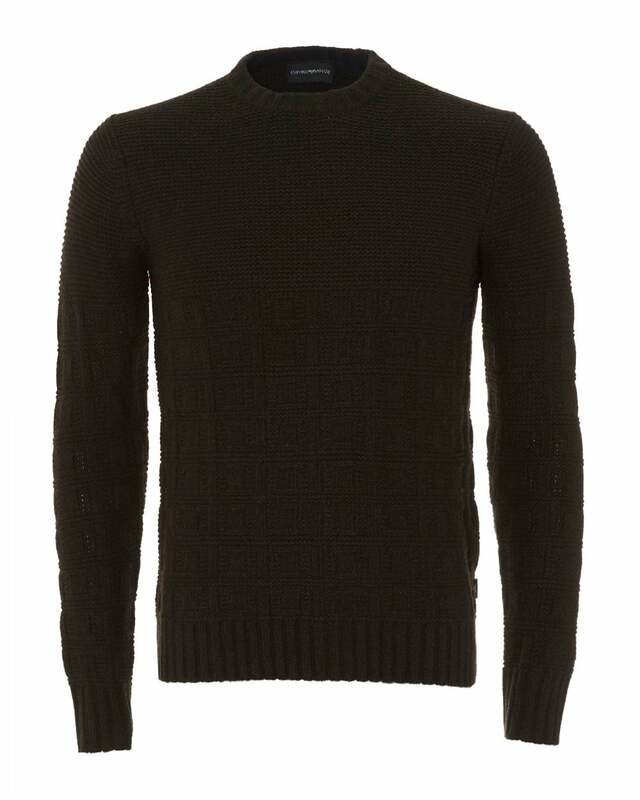 This cable knitted jumper by Emporio Armani comes in a khaki olive green colour, perfect to suit any man. Featuring a textured knit design, ribbed detailing and a classic crew neck. Wear with some dark washed jeans and trainers.